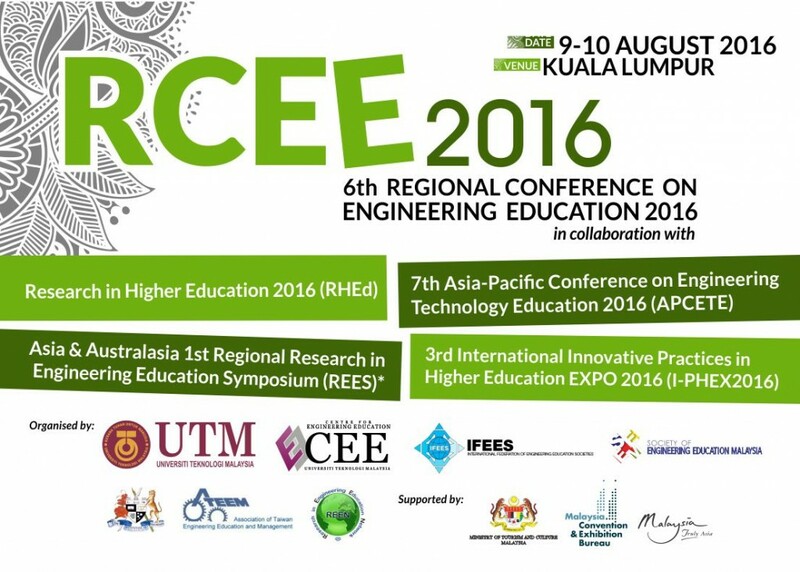 UTM Centre for Engineering Education (CEE), the Association of Taiwan Engineering Education and Management (ATEEM) and the Society for Engineering Education Malaysia (SEEM) are pleased to bring you the 6th Regional Conference on Engineering Education 2016 (RCEE2016) and Research on Higher Education (RHEd) in collaboration with 7th Asia-Pacific Conference on Engineering and Technology Education 2016 (APCETE). The conference will be held in Universiti Teknologi Malaysia (UTM) International Campus, Kuala Lumpur on the 9-10th August 2016. This conference will converge experts and representatives of higher education institutions from around Malaysia and abroad. 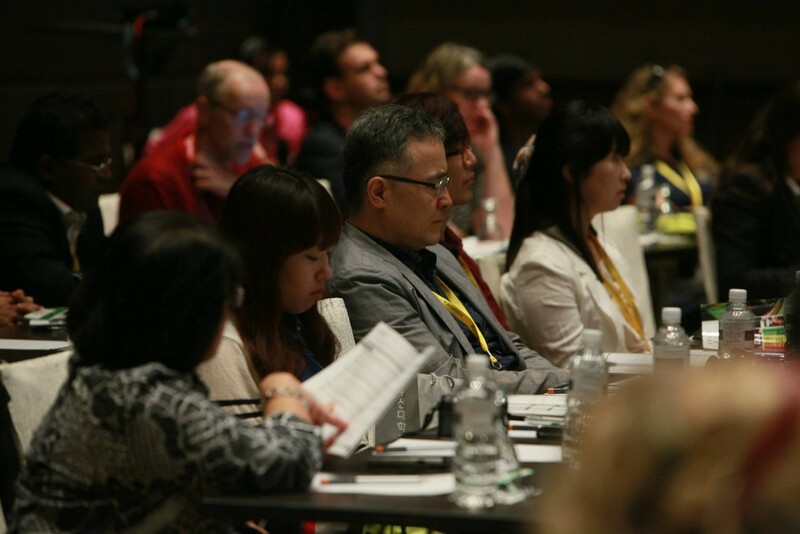 RCEE 2016 aims to provide an independent, international and inclusive forum to advance scholarly discourse in engineering education as well as build a global community of scholarly practitioners & researchers in the area. 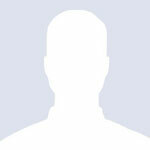 Selected papers will be published in index journals. For more information on RCEE 2016, please click here. The 3rd International Innovative Practices in Higher Education Expo (I-PHEX 2016) will be held in Universiti Teknologi Malaysia (UTM) International Campus, Kuala Lumpur on the 10th August 2016. This exhibition is to recognise and award efforts to improve higher education, organised by UTM Centre for Engineering Education (CEE) and the Society for Engineering Education Malaysia (SEEM). For more information on I-PHEX 2016, please click here. Title: How to Publish Scholarly Educational Based Article in Journal for Science, Technology, Engineering and Mathematics (STEM) Areas.